Camteach requested a logo that would represent a community working together, building upon knowledge and creating a foundation for exceptional education. Cleverbox demonstrated this by portraying two layers coming together to create a third, symbolising what results from successful teamwork. For the website, the three key features of the home page are training, courses and development. This information is displayed using colourful accordion quick links and graphic links directing visitors to the information they need as quickly as possible. We created three bespoke modules to present key information in a clear, consistent and stylish manner. We developed a venues module with each venue’s address, information and a Google map that can generate directions. The course module presents upcoming courses with course information, dates and a booking form. 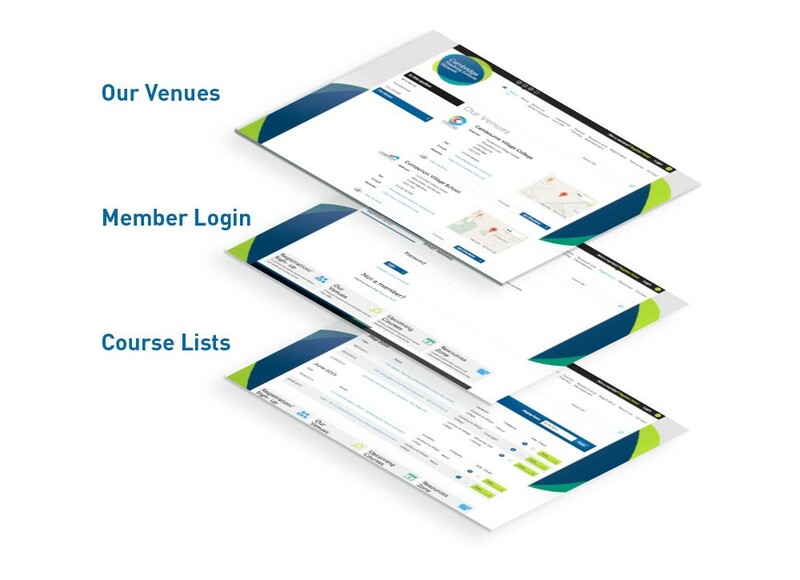 The membership zone allows members to log in, view course materials and share resources in a hidden area that is not open to the general public.